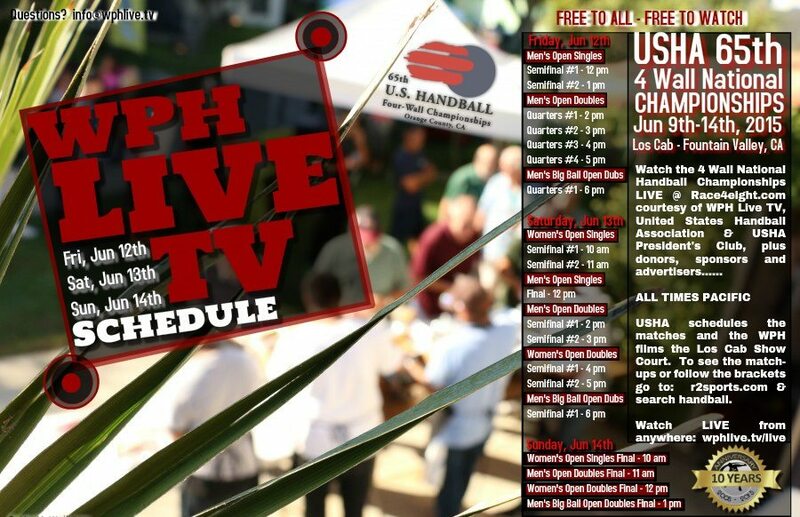 The World Players of Handball Foundation (WPH Live TV) along with the United States Handball Association, Los Caballeros Sports Village and sponsors, bring you the show court matches of the four wall handball nationals handball championships LIVE at www.race4eight.com (www.wphlive.tv/live). Film crews will highlight Paul Brady’s run at his 10th singles title; meanwhile, women’s pro singles and pro doubles will be aired on the show court throughout the weekend; to include bonus coverage of select big ball pro men’s doubles matches. “Now that the times are released and the tournament is in its fourth day, we can really narrow down the schedule,” says WPH Director and lead Announcer for the games. “Paul Brady will face Armando Ortiz at noon pacific time, followed by the second men’s semifinal between Sean Lenning and Emmett Peixoto. 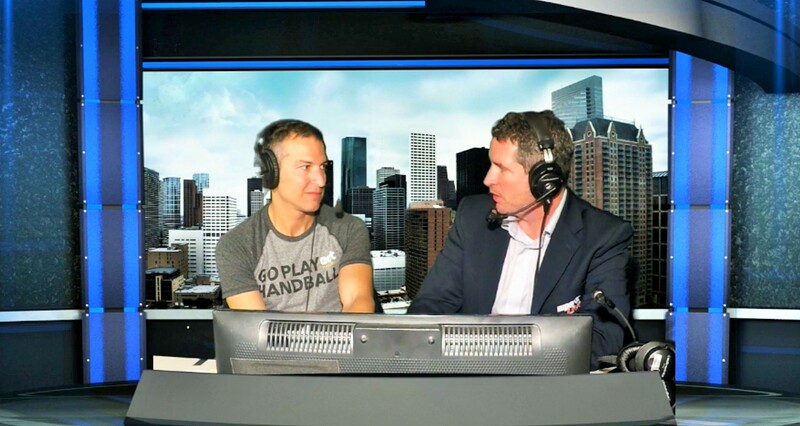 We are very excited to report these matches with commentary today.” WPH will stream the pro doubles quarters, following the men’s semis, and if time permits, will bring bonus coverage of the big ball 4 wall doubles.